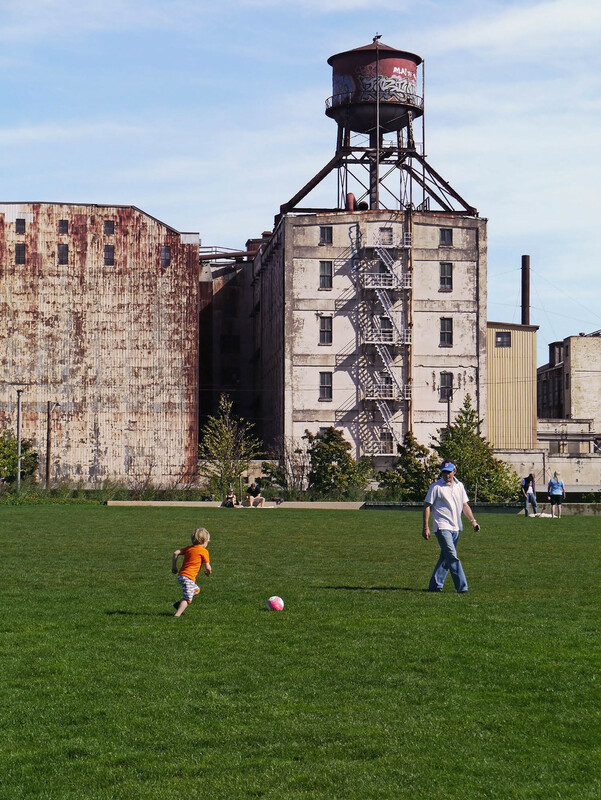 A pivotal site located in Northwest Portland’s River District—and in the heart of the dynamic Pearl Neighborhood—The Fields is a 3.5-acre urban park on a former railyard site. This new civic space celebrates and enlivens natural and cultural histories of place and creates flexible and functional spaces for urban rituals, contributing to Portland’s outstanding legacy of public parks and exceptional quality of life. 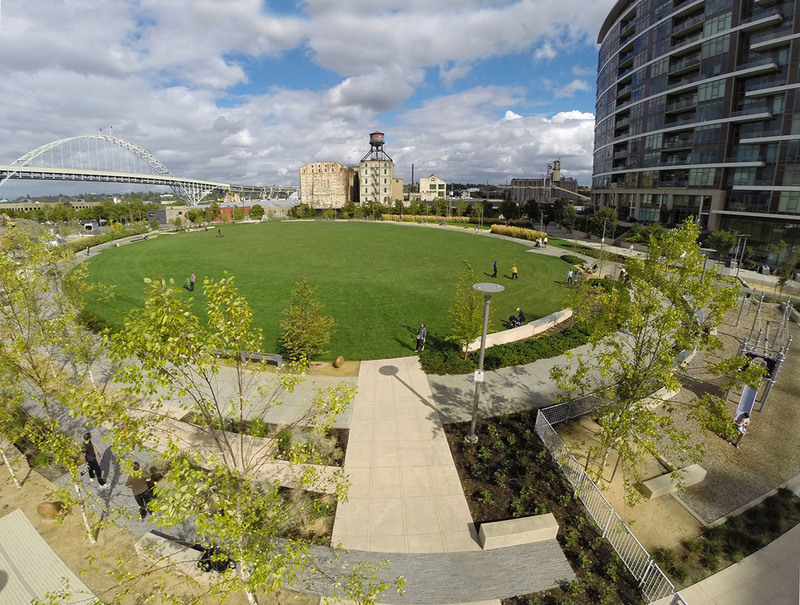 A pivotal site located in Northwest Portland’s River District—and in the heart of the dynamic Pearl Neighborhood—The Fields is a 3.5-acre urban park on a former railyard site. Employing landform as a key element, the design of the park is a large central open space framed by a spiraling earthen berm. The berm creates the elevation change required to provide informal, south-facing amphitheater seating. ‘Windrows’ of trees frame the landform within the Park, attenuating the wind and defining several activity zones. 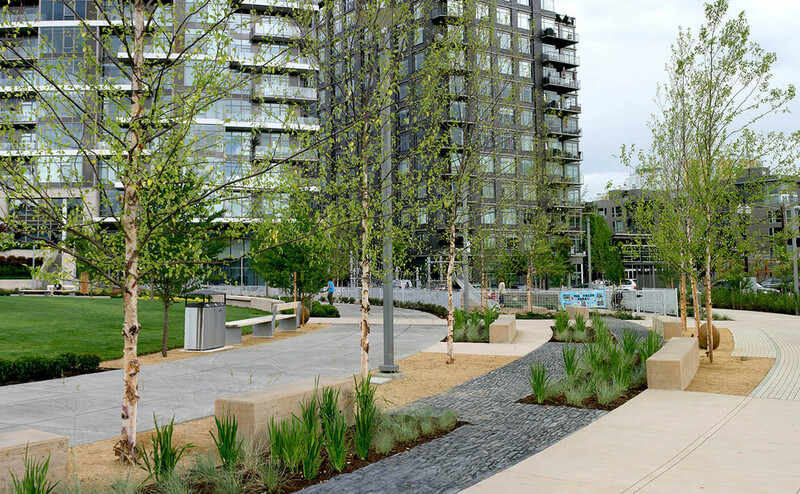 Sustainable site design is integral to the project: rain gardens and constructed wetlands provide on-site stormwater management, and the brownfield condition of the soils was mitigated. 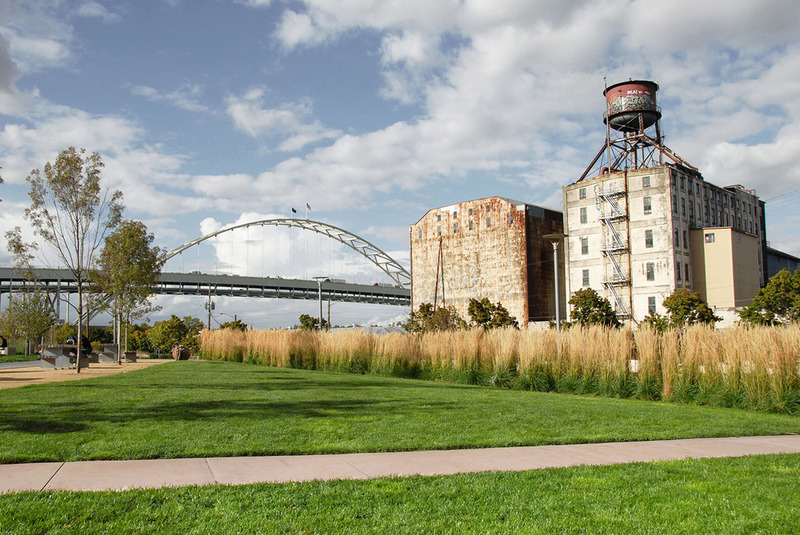 The Fields Park ‘re-weaves’ a disturbed but critically important piece of the neighborhood. This new civic space celebrates and enlivens natural and cultural histories of place and creates flexible and functional spaces for urban rituals, adding to the outstanding legacy of public parks and exceptional quality of life in Portland.